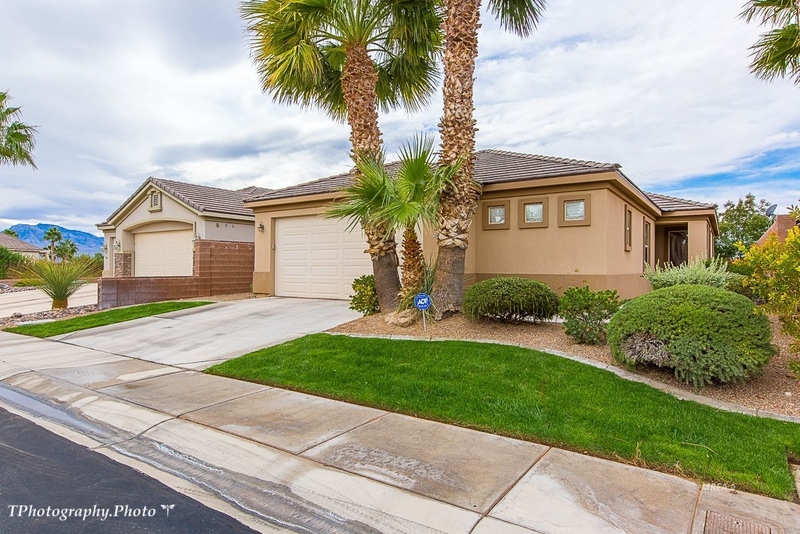 This Large 3 bedrooms 3.5 Baths Gorgeous Home is Located in a Gated Community with Beautiful views of the Palmer Golf Course and Mountains from the Patio. The Patio extends the backside of the house and offers a Southern exposure. Attractive Slate floors run throughout this house except in the Bedrooms and add the perfect natural color to the home. The Kitchen has granite counter tops with staggered cabinets which give it personality and beauty. You will find Stainless Steel appliances in the Kitchen the Refrigerator and Dishwasher only 3 months old. The Laundry Room is located adjacent to the Kitchen with cabinets, folding counter, and 3-year-old Kenmore Elite Stainless Steel Washer and Dryer. The Master Bedroom is a nice size and in the Master Bath, you will find a His & Hers Vanity, Tiled Walk-in Shower and Walk-in Closet. There are Large Picture Windows upstairs in the Living and Dining Room to let the Sun Shine in. Downstairs comes complete with a good size Family Room, 1/2 Bath and an abundance of Storage. There's also a 3rd Bedroom with full Bathroom and Walk-in Closet. Fully Fenced Backyard with a Covered Patio. The 2 car garage is quite large and has sealed floors.